What is Candid Wedding Photography? 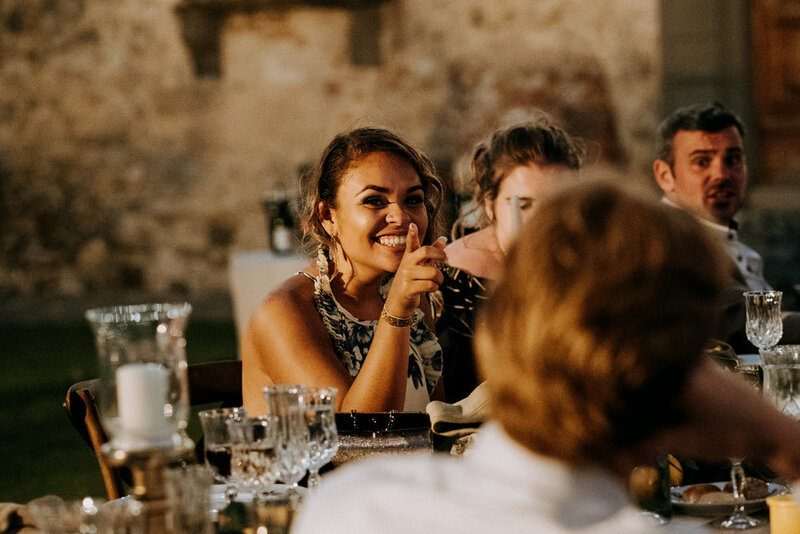 I know we are in the middle of Winter, but cast your mind back to the Summer of 2018 (…I know, it’s a distant memory now) but in August last year I travelled to Sienna in Tuscany to shoot Natalie & Richard’s wedding at the stunning Castello Di Meleto in Gaiole in Chianti. If you haven’t been to Tuscany before, go! It is beautiful beyond words! 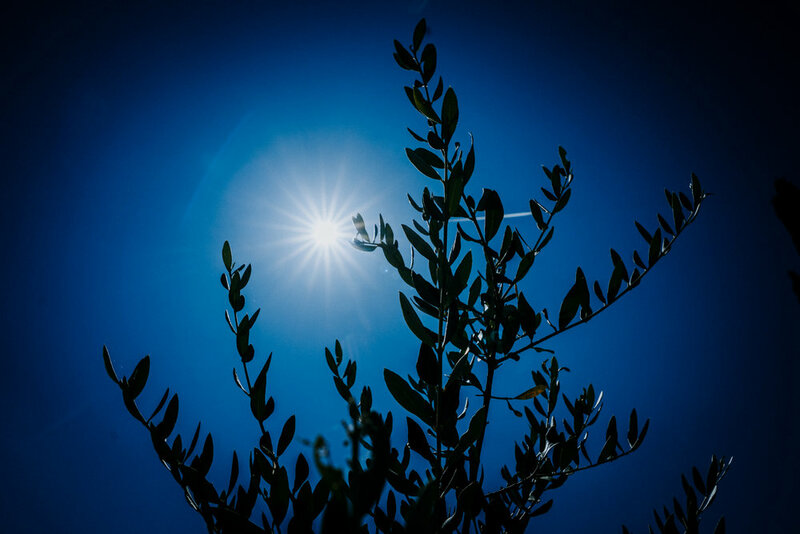 It’s breathtakingly beautiful actually and on Sunday 12th August, with barely a cloud in the sky, the hazy Italian sun shone down on the gorgeous Natalie and Richard as they said perfect wedding vows overlooking the Tuscan hills, surrounded by their closest family and friends. Confetti and a champagne reception followed, then the wedding party dined al-fresco in the courtyard complete with festoon lights, emotional speeches and a Mille Feuille wedding cake. As the night drew in, the stars came out and Natalie, Richard and their guests danced, drank and sang into the early hours of the morning. 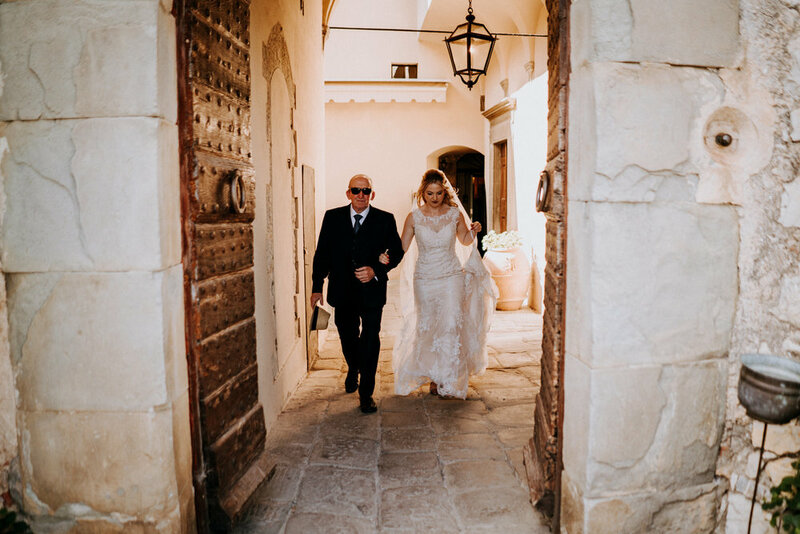 If you are getting married at Castello Di Meleto, like Natalie & Richard did (or indeed anywhere else in the world!) and are looking for an international wedding photographer, to capture your day then please say hello, I would love to hear all your plans! Registered with The Guild of Photographers.